Acoustic guitar, keyboards and subdued percussion mesh with Sarah's lilting voice to form a delightful and original folk-pop sound that is intimate, heartfelt and inspiring. God is often perceived as a being who watches the play of life from some lofty perch. The 12 original songs on Sarah's second album lead to a discovery of the obvious God who moves among us in everyday life. He is especially present, Sarah suggests, in the people around us: "...In the faces of our friends you are obvious. In the faces of our friends you are clear. And through the hearts of those we love you reach for us; In the faces of our friends, you are here." Packed with nearly an hour of music, Obvious is one of the best contemporary Christian releases of the last few years. Acoustic guitar, keyboards and subdued percussion mesh with Sarah's lilting voice to form a delightful and original folk-pop sound. Sarah has been called a "contemporary troubadour" and a "modern-day poet" for her lyrical melodies and poignant song texts. The songs on Obvious show why. Drawing from Gospel truths, ancient prayers and her own spiritual journey, Sarah writes songs that uplift and convict, tickle and empathize, from the humble admission of fear in "I'm Not Alone" and the mystical, haunting petitions of "The Breastplate of St. Patrick" to the humorous sarcasm and warning of "Any Road." Intimate, heartfelt and inspiring, Obvious is Christian songwriting at its best. God is often perceived as a being who watches the play of life from some lofty perch. The 12 original songs on Sarah''s second album lead to a discovery of the obvious God who moves among us in everyday life. He is especially present, Sarah suggests, in the people around us: "...In the faces of our friends you are obvious. In the faces of our friends you are clear. And through the hearts of those we love you reach for us; In the faces of our friends, you are here." Packed with nearly an hour of music, Obvious is one of the best contemporary Christian releases of the last few years. Acoustic guitar, keyboards and subdued percussion mesh with Sarah''s lilting voice to form a delightful and original folk-pop sound. 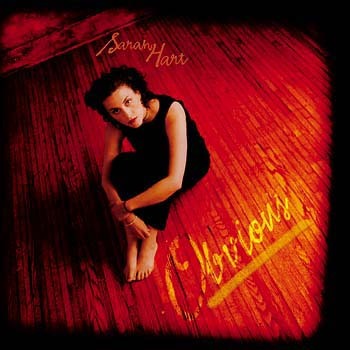 Sarah has been called a "contemporary troubadour" and a "modern-day poet" for her lyrical melodies and poignant song texts. The songs on Obvious show why. Drawing from Gospel truths, ancient prayers and her own spiritual journey, Sarah writes songs that uplift and convict, tickle and empathize, from the humble admission of fear in "I''m Not Alone" and the mystical, haunting petitions of "The Breastplate of St. Patrick" to the humorous sarcasm and warning of "Any Road." The MP3 Album for this collection does not contain the track "In You in Me."